Almaty , is the largest city in Kazakhstan, with a population of 1,797,431 people, about 8% of the country’s total population. It served as capital of the Kazakh state in its various forms from 1929 to 1997, under the influence of the then USSR and its appointees. . In 1997, the government relocated the capital to Astana in the north of the country, which is about 12 hours away by train. 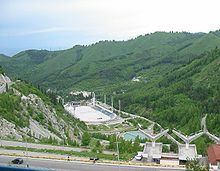 Almaty generates approximately 20 per cent of Kazakhstan’s GDP (or $36 billion in 2010). The nation is the most powerful economically in Central Asia and Almaty is a key financial center. It is considered to be a Beta-Global city as of the 2012 GaWC study. One of the largest industries in Almaty is finance, and its financial exports make it a large contributor to Kazakhstan’s balance of payments. Almaty is home to BTA Bank, which is the largest bank in Central Asia, Kazkommertsbank, and other major banks. The Kazakhstan Stock Exchange is based in Almaty. 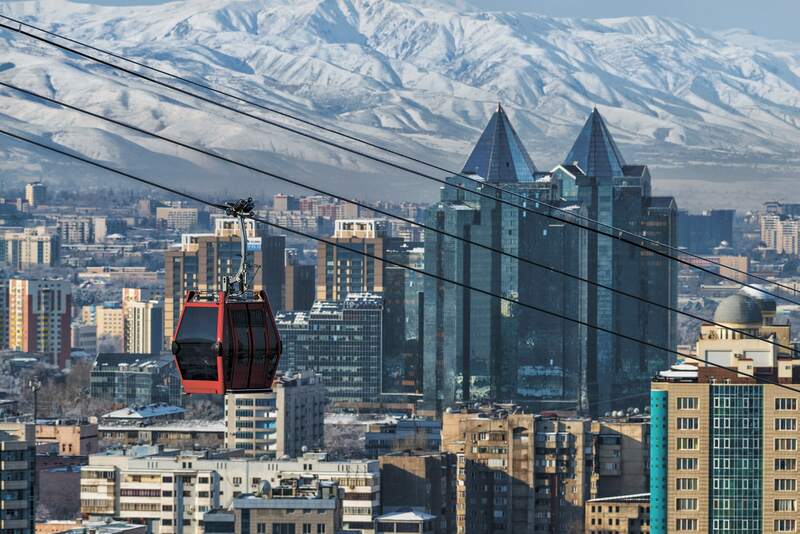 An aerial tramway line connects downtown Almaty with a popular recreation area at the top of Kok Tobe(Kazakh: , which means ‘Green Hill’), a mountain just to the southeast. The city television tower, Almaty Tower, is located on the hill. It has a variety of tourist attractions, such as a zoo, amusement-park-style rides and restaurants. So,finally, if you will travel to Kazakhstan at one day, I recommend you to start you trip from Almaty!